AHRE had to say goodbye to Theodore on June 20th, 2015. He held a special place in the heart of the founder, Dusty Calcagno. Theo and Dusty spent many hours together while she tried to heal him. We don’t know much about his history but we do know that he had months of love, kindness, food, pasture and proper care before he chose to leave our earth. Theo left AHRE feeling safe, loved and snuggled in a bed of green grass. 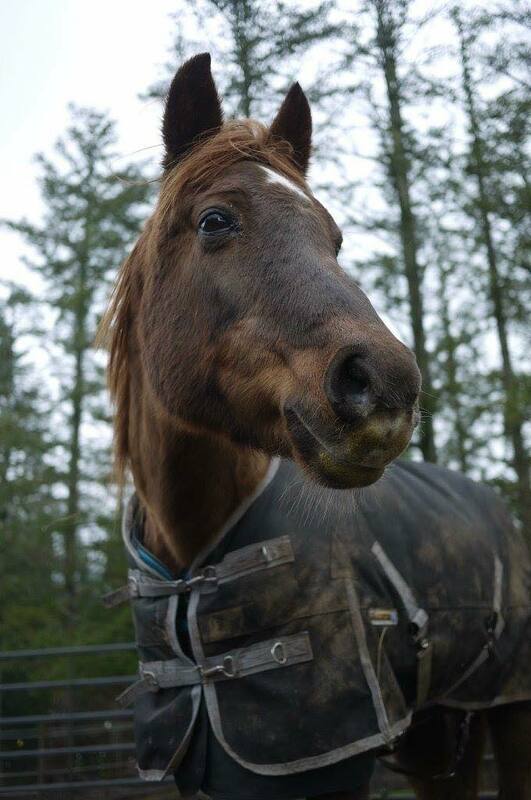 ​It is with great sadness that we must report that our beautiful Ari went galloping over the Rainbow Bridge. After seeking specialist treatment for her eye injury at Oregon State University, Ari colicked in the hospital. Rest in peace beautiful Ari. We LOVE you and will miss you greatly. It is with heavy hearts that we let you know that Lady crossed the rainbow bridge into green pastures on July 18th, 2017. She was grateful the decision was made to set her free from the earthly pain that consumed her body. 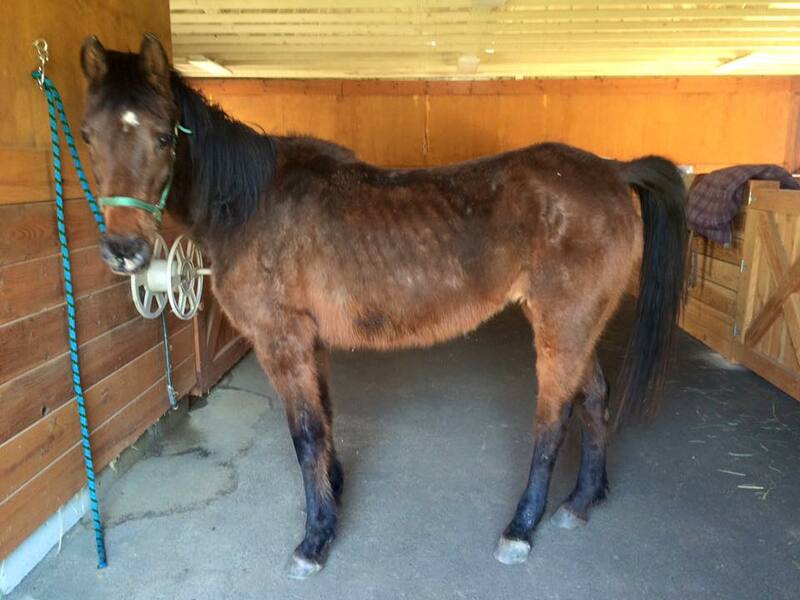 Lady was found in the morning, down in her stall. Dusty spent 3 hours with her, never once leaving her side. There were many moments embracing each other, brushing her, and comforting her as she lay her head in Dusty's lap. All this before the vet arrived. Her passing was peaceful as she was set free. Lady had a great year with us. She was definitely a volunteer favorite. She gave much love, mentored youth and is and will always be in our hearts. There will be a Big Leaf Maple tree planted in the back 7 acres in Lady's memory. Dusty said: "I think she knew my heart was heavy and wanted to lighten it by letting me know it was okay...she was ready." We purchased Jenny in February 2015 from the Eugene Livestock auction. We knew that Jenny had some severe issues but we were committed to making the responsible decisions and choices for her. 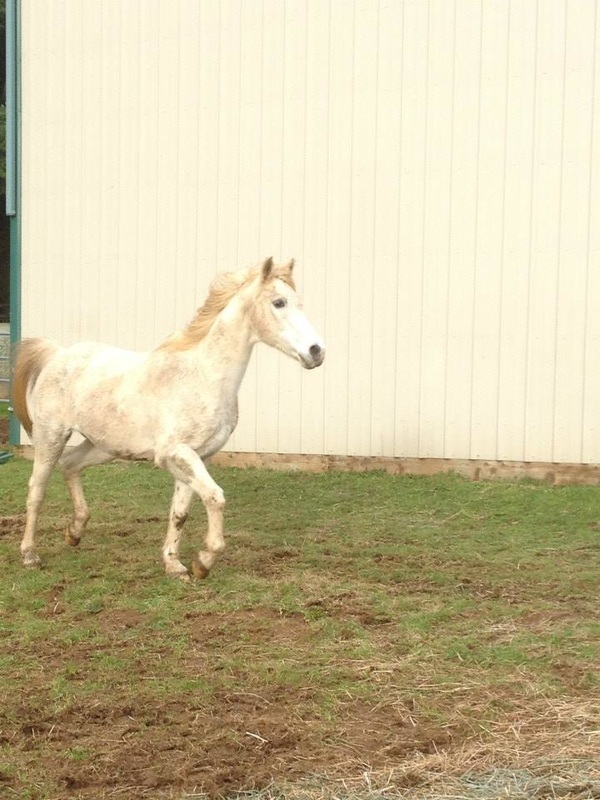 She battled Equine Lymphangitis, a disease that soon compromised her immune system and left her susceptible to many skin infections and other diseases. She struggled with her weight, and began to have severe swelling in her rear cannons. We pursued three rounds of antibiotics and five rounds of steroids before Jenny's eyes let us know she was tired. She had served the last few years of her life on a Southern Oregon Dude Ranch where she was ridden hard by many inexperienced riders. Once her condition impaired her ability to work she was left at the auction. 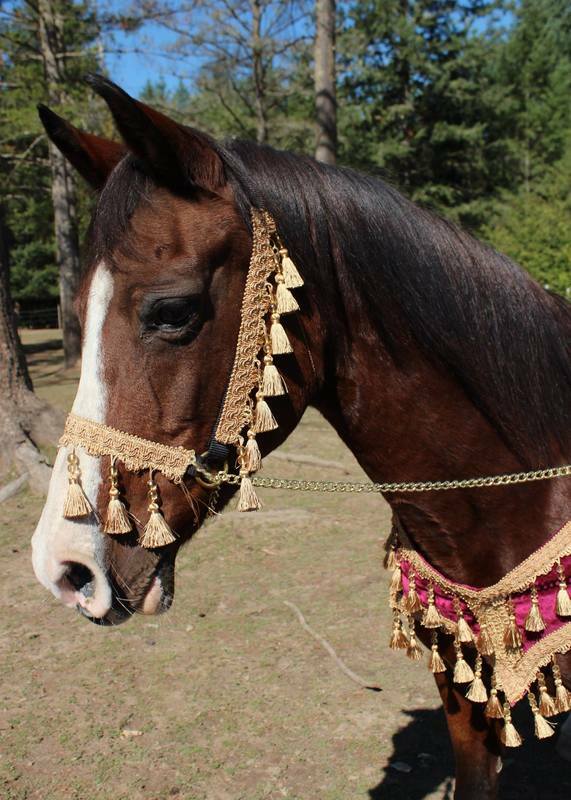 We remember her as a fighter and a wonderful horse that always brought us joy. Rest in Peace Jenny. ​Our sweet Sparkles crossed over the rainbow bridge. Despite our efforts and intense medical support, Sparkles was called to run in green pastures. She was with us for a short week, however, in that week she knew compassion, kindness, and love. Andretti was saved at auction in Nov 2014, as a result of AHRE bidding against only one other bidder... a kill buyer. He started the New Year with a family that would love and adore him for the next two years of his life. When Andretti arrived at his new home and herd, he was so taken with the creek in his field, he ran right into the water and stomped around. He went on to live a happy and spoiled life, not really having to work much but giving the kids rides now and then, and receiving daily love and attention. 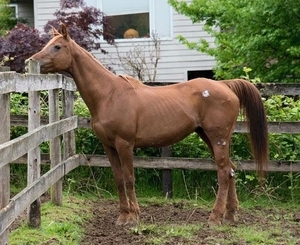 Towards the end, after several months of recurrent colic and trying different treatments, his family had to make the heartbreaking decision to humanely euthanize Andretti. His family wrote: "We, Andretti, and the vet team gave it our all, and he was well loved and spoiled for the almost two years he brightened our lives. I know people like to use the term “crossing over the rainbow bridge” but we like to think he’s still here with us watching over his herd. Thanks for bringing us and Andretti together."